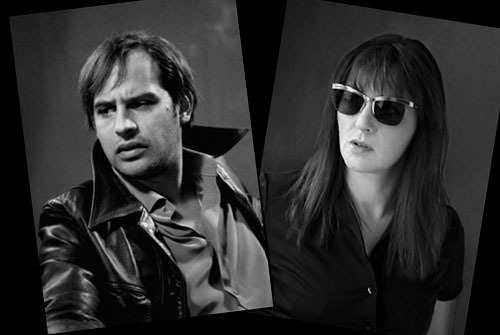 Moritz Bleibtreu and Martina Gedeck as Andreas Baader and Ulrike Meinhof in the 2009 film, The Baader Meinhof Complex. Politics were stretched to the breaking point in the late sixties and 1970s, when the culture wars took root in the United States, the Cultural Revolution crippled China, and disaffected middle class youth in West Germany gave terrorism a new face. They were called the Baader-Meinhof Gang. In January 1977, gang members stormed a nuclear weapon storage facility in Giessen, West Germany. They planned to penetrate the base’s storage vaults by creating a diversion, blowing up a fuel tank outside the base perimeter. But they misread the fuel tank gauge, believing the tank to be almost full, when it was almost empty. Their shaped charge penetrated the tank above the fuel line, with no resulting special effects. Gang members then managed to penetrate the base perimeter, but after an exchange of gunfire, they were stopped short of the nuclear weapons storage area. The base commander, then an Army Captain, told me this story. He later went on to become the Director of ACDA and helped jump start efforts to lock down dangerous weapons and materials in the former Soviet Union – Bill Burns. To the average American citizen who reads ACW on a regular basis, but is not a player. It would seem that the 70’s and 80’s were a peak for civil liberties. Which is amazing as this peak, if it was real, was the same time when the USSR reached it peak military power as compared to the West. By todays logic such a threat would be cause for a police state, just as on the order of 10,000 impoverished religious nut cases in Pakistan and Afghanistan have driven us to a deep police state and financial ruin. Martina and Moritz were not the only citizens of a Western power who had their own nuclear agenda in mind with the will to enforce it with force. This raises a question. Are terrorists in general stupid and thus in the last 20 years of the Cold War we were lucky? Much the same way slipshod work has been the ruin of many a modern terror strike. Or was the police state a stronger force in society than I thought? Or were police monitoring programs more focused? And if so, were they more effective for that reason? To answer the above question: perhaps it is not only the terrorists who are, in general, stupid. You are quite right to hint (and maybe I’m reading too much into your comment) that a situation such as the one that existed in the West in the late 1970s might result, today, in a police state. Such, at least, would be the reaction of the American government and the American populace. Well, “Martina and Moritz” are the names of the actors in the movie,they are by no means terrorists. Bill Burns is my sole source. We’ve talked about this twice. My cite in the book dates the second conversation on January 24, 2007. (I mistakenly gave Bill the rank of Captain in my post; he was a full Colonel at the time.) A German researcher who has looked into this story, Otfried Nassauer, has contacted me. He has been unable to find any leads locally to confirm this story. I do recall Bill saying that the Cockburn’s account of this episode in One Point Safe was embellished. But he distinctly recalls that something very serious happened that day at the base he was commanding. I can well understand how it would be in the interest of the US Army to cover up this incident, and they might well have secured the help of local authorities. I can also imagine that records would have “disappeared.” Perhaps this thread will generate more information on the subject. Gee, I though Moritz Bleibtreu was famous. Didn’t everybody see Run Lola Run?